Is bumped to Tuesday. I had a minor fall down my stairs and then once I was feeling mobile I ran errands. Now I am exhausted. What a day. Tomorrow I will post Monday’s belly pic and all that jazz. Sorry for the hold up. I irritated a previous back injury, a few years back I fell down my stairs and fractured my spine and some ribs. I think I just irritated that past injury but all is well. I am sore and tired, that’s about it. Posted in Uncategorized and tagged belly pics, fall, postponed post, Pregnancy, stairs. Bookmark the permalink. 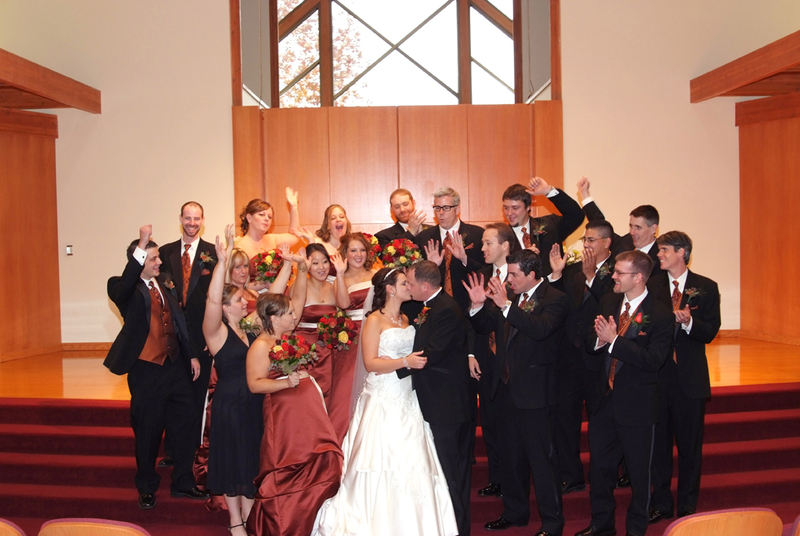 Today is Pat and I’s 4 year Wedding Anniversary. Time sure does fly by! So today no long winded blog post. Just a quick infographic on how certain vitamins benefit you and baby during pregnancy. I hope everyone has a fantastic day! Posted in Health and Fitness, Life, lifestyle, Pregnancy, Well-being and tagged anniversary, health, healthy-living, home, nutrition, Pregnancy, vitamins. Bookmark the permalink. Today I had an 8:05 am baby appointment scheduled. Of course I totally spaced on it and thought it was tomorrow. It probably did not help that I had not one minute of sleep last night. There was no relief of the nausea and no way to get comfortable. On top of that my “Pregnancy Brain” has been terrible. If it is not written down and where I can see it, it just does not exist and it does not get done. The doctor’s office was nice and squeezed me in this afternoon. Our appointment went well. The doctor suggested I try valerian root tea to help me sleep at night and no naps on days when I did not sleep the night before to reset myself. That is going to be tough! But, a normal sleep schedule is something that needs to be part of my life again. Most days feel like they are wasted because I sleep them away. I did lose 2 lbs since my last appointment. This is actually a good thing, they were glad to see that I have been able to be more active and there was no unnecessary weight loss. 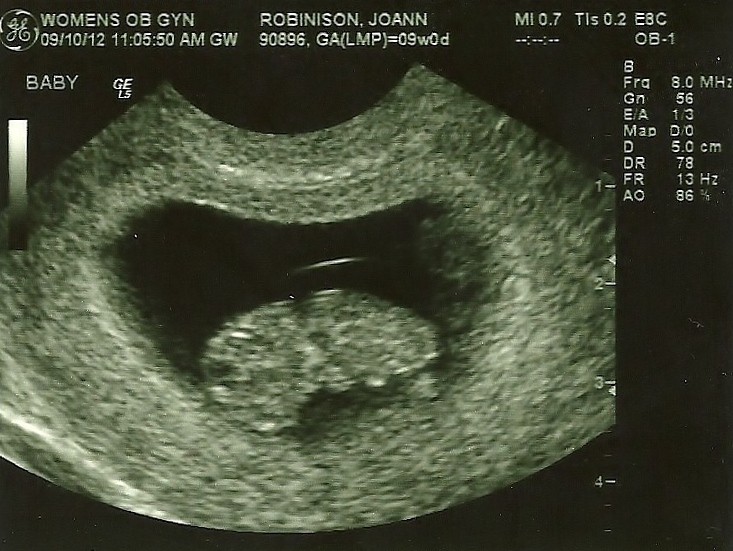 Soon I should get a call and find out when my “High Risk” ultrasound appointment is. I am thinking it will be in 3 to 4 weeks. Emma was at the appointment and heard the heart beat, she was very unimpressed. The doctor asked me “Why no smiles?” I was just watching Emma’s reaction I guess. Apparently this child is not impressed with the fact that I am growing a human. I am wondering once I really get back to being active if that will help too. Less than a week until I am back into a full workout schedule. This week I have just been testing the waters and working my way back into it. No need to be hasty and hurt myself or The Fetus. If you’re busy, or stressed, or short on sleep, it’s 100% normal to have memory lapses or be forgetful, Christenson says. Surging hormone levels and new priorities may explain why pregnancy brain happens. “There are 15 to 40 times more progesterone and estrogen marinating the brain during pregnancy, and these hormones affect all kinds of neurons in the brain,” says Louann Brizendine, MD, director of the Women’s Mood and Hormone Clinic at the University of California, San Francisco. Pregnancy also shuffles what gets your attention. Your IQ doesn’t change, but your priorities do. “You only have so many shelves in your brain so the top three are filled with baby stuff,” Brizendine says. Hormones may also affect spatial memory — which includes remembering where things are — in pregnant women and new moms, a recent British study shows. Posted in Family, Health and Fitness, Pregnancy, Uncategorized, Well-being and tagged exercise, health, memory lapses, Pregnancy, pregnancy brain, sleep last night. Bookmark the permalink. 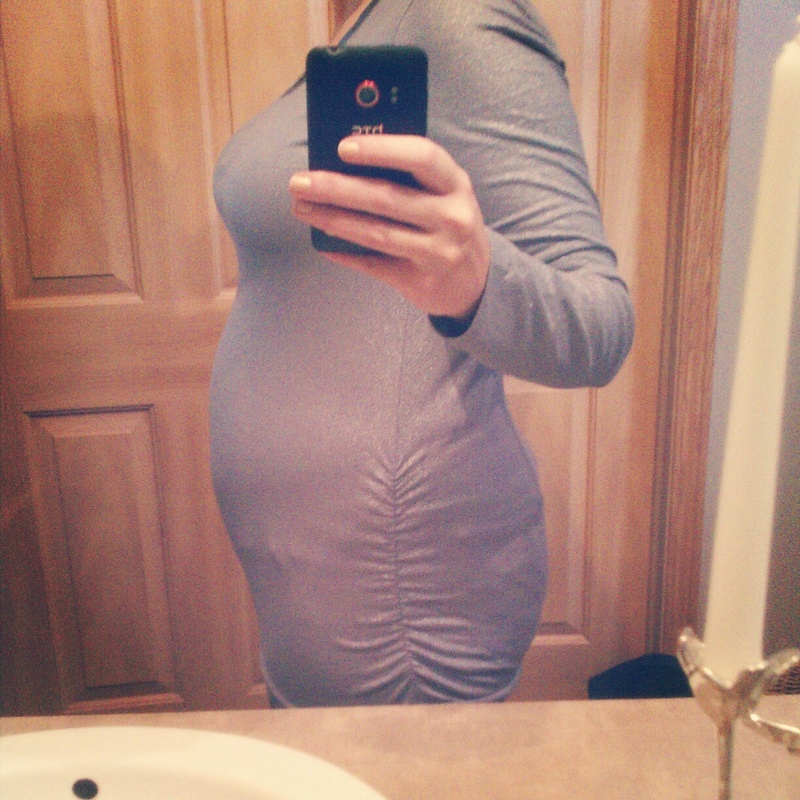 Today marks the first day of week 15 of pregnancy. Only 25 weeks to go, 25 weeks seems like FOREVER! The internet has all kinds of fun, interesting and even some questionable information to offer. I read up on each week each Monday. How is it that so much has changed since being pregnant with Emma? It seems like there are so many more rules and so many strong opinions now that seem to cause a ton of anxiety for expectant moms. I have read that some mothers-to-be are freaking out over having mints because they didn’t know until they read an article online that they couldn’t have them and are now panicked that they have done something to harm their unborn child. Pure mint oil is thought to be a uterine stimulant and this is what is left out of the information these women are given. Who the hell just sits around sipping or consuming large amounts of pure mint oil? No one I know of. Most mint gum, breath mints, mint cookies and such don’t even have mint oil and are artificially flavored. And if they are flavored with mint oil how much could possibly be in one tiny mint or piece of gum? I drink lots of organic mint tea, it helps with my nausea and helps clear my sinuses (Allergy season has me all clogged up) peppermint leaves have been deemed as “likely safe”, good enough for me. And my doctor doesn’t seem to have an issue with it. I think more women need to not get their information via the internet and take it word for word. If you really want something that random website #53 says is bad just ask your doctor. Not everything on the internet is true, or is just over-exaggerated. Baby is about 4 inches long, so about the size of an apple. As far as exercise today I got a bit of walking in. Better than nothing J, I have not eaten much but not feeling to great today. Sometimes it is a task to eat, I had some cottage cheese, string cheese and a corn muffin. Don’t worry though I am making pork medallions with roasted red and yellow peppers, cucumber salad (not the mayo kind) and herbed mashed potatoes for dinner. The Fetus is about the weight of a jumbo egg this week! I found this image and thought it was super creepy. Posted in Health and Fitness, Life, Pregnancy, Uncategorized and tagged 15 weeks pregnant, baby bump, fetal development, mint oil, mint tea, Pregnancy, uterine stimulant, walking, week 15 of pregnancy. Bookmark the permalink.